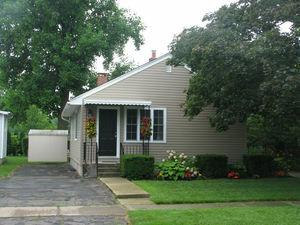 COZY 2 BEDROOM COTTAGE, IN A QUIET NEIGHBOURHOOD ONLY 4 BLOCKS FROM THE MAIN STREET AND SHAW FESTIVAL. SLEEPS UP TO 4 PEOPLE. NEWLY RENOVATED WITH FULLY EQUIPPED KITCHEN, AIR CONDITIONER, CABLE TV AND DVD PLAYER. BACK DECK WITH GAS BBQ THAT LOOKS ONTO A PARK WITH A PUBLIC SWIMMING POOL, TENNIS AND VOLLEYBALL COURTS AND THE NIAGARA PARKWAY WATERFRONT TRAIL. WINERIES AND FINE DINING ARE CLOSE AT HAND.